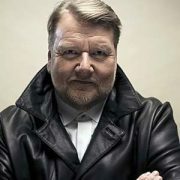 Internationally acclaimed dramatic tenor Ben Heppner is known for tackling challenging roles from Wagner to Verdi. Less well known, is his love for the music of Louis Armstrong, Dave Brubeck and other jazz greats. Ben continually uses jazz to inspire him and even tried to entice me into a Louie and Ella style duet during our interview! Ben generously agreed to have our conversation on his “vocal rest” day during his run as Otello at the Metropolitan Opera in NYC in 2007 in an interview for my Judy Carmichael’s Jazz Inspired radio show. Ben Heppner: Our house was filled with music, as we were sort of amateur musicians, all. Never thought about going into music at all but my mother, in particular, had a real musical bent. She sang; she played piano by ear. So we listened a lot to parlor songs and anything with Mario Lanza. My CD, My Secret Heart was really based, not so much on the music we listened to but, more on the lifespan of my mother, from her birth to my birth. There’s “Roses of Picardy.” It was probably the earliest pieces, you know, parlor songs. And then the latest is “Be My Love”-1956, close to New Orleans, Mario Lanza-so I had to put it on. There’s a little funny story that goes with that. In ’91, I was working in Geneva in September, and I got the call from the Metropolitan Opera asking if I would come and sing a Mozart Opera there. It was very exciting, and I was going to be doing that in December. I phoned Mom-she was in Edmonton, I was in Geneva, Switzerland-and she’s relatively deaf. The routine she uses to cover herself, is to take the topic and basically talk from that moment on. So I said to her “Mom, I have some exciting news. I’m going to be making my debut at the Metropolitan Opera.” She hears “opera”, and she says, “Oh, and I just heard the Enrico Caruso story with Mario Lanza.” I said, “HELLO MOM, I’m making MY debut at the Metropolitan Opera.” And she said, “Oh, and that Mario Lanza, you know, he really can sing. A favorite of mine.” So I had to put it on for mom. Judy Carmichael: The piece that I really, personally connected with is “The World is Waiting for the Sunrise,” because I’ve heard this done by Benny Goodman and I’ve heard banjo bands do it. When I was in California, it was the tune that everyone played up tempo, and you break my heart with this tune. It’s so beautiful. It’s just lovely. Well, you have to understand, it’s a Canadian sunrise. Therefore, it is the most beautiful. Oh, so that’s where the emotion comes from. Well, we always want to know about the motivation that goes into these things. Well, there’s a thing that we have in Canada, we refer to it as CanCon, Canadian Content. So that one makes it a little bit higher, because not only is the composer a Canadian but the performer is too. Therefore it rates a little higher, and the points for the radio stations numbers as they keep them. I really felt part of this project, and I had somebody help me, sort of, organize the selection of the songs into something that was a little more cohesive. But I think it’s my most heartfelt disc to date. And it really shows. There’s one where “We’ll Gather Lilacs” in the spring again. And if you listen to it very carefully, you can hear enormous emotion running through me personally because it’s the story of my life. I’m always waiting to do things at home with my family, with my beloved, and I’m waiting. We’re going to do it when spring comes, when the lilacs are blooming again. Then we’ll go for walks, then we’ll – you know, I’m on the road most of the time. Those emotional connections exist for a lot of the songs in there. Oh yeah, you’ll see a lot of bluesy, gospel influences in most of the stuff. That’s my background. I’ve got a lot of church gospel, and blues is a sort of natural extension. Did you grow up listening to jazz? Not really. I don’t ever remember having a record player when I grew up. Fact, I remember getting electricity when I was approximately 6. We listened to the radio a lot, and I can remember somebody gave me a very large, one speaker radio; it was about waist height. In the wintertime in Northern British Columbia, I grew up in a place called Dawson Creek, you could get this incredible sort of stratospheric bounce or whatever – I could get places, I could get stations from Texas or from all these far flung places of the world and it was just fascinating. It’s called DXing, you can listen long distance to these places, as I learned later in the short wave parlance, it’s DXing. Sometimes if the bounce was really good, you could get it for 2-3 hours stretch. So here we are, how many thousands of miles away from Texas, and we’re listening to the AM radio station. You know, the “Spy Who Came in From the Cold” or something. Not just jazz or popular music, but also comedy and things like that. So it was like my ear had a whole new world that didn’t really exist at home. That’s fascinating. You mentioned to me earlier, the Manhattan Transfer. Manhattan Transfer was certainly one of the influences bringing me closer to jazz, and I really encountered them in university in the ’70s. Of course, I thought that they were probably a moving company. You know, it seems so strange. I think they were. 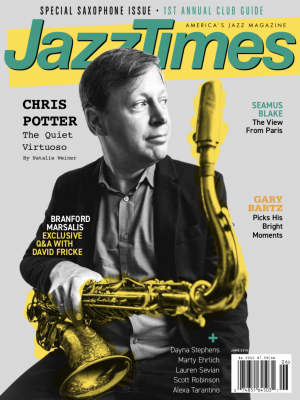 You can’t make a living as a jazz musician. I was so square then. Well, you love piano players, which I find fascinating. Do you play piano yourself? Well, I play, what I call, arthritic jazz. Imagine my hands wracked with, you know, arthritis that would somehow have deformed my hands and then trying to play. That’s kind of what it sounds like. But I have very good tonal sense. I can sort of improvise a little bit. And I have no left hand, but I have kind of a mediocre right hand. But, you can fool people if you sing with it. And the three songs that I have in my repertoire will impress you until you realize they really are the only three songs I have in my repertoire. You just worked really hard on those three songs. I think that’s good. What are your three songs? Oh, I do, sort of, the Neil Sedaka version of “Breaking Up is Hard to Do”, the one from the ’70s not the one with all the driving from the late ’50s early ’60s. I do, like, “I’m Gonna Sit Right Down and Write Myself a Letter.” And do a kind of string bass thing on my left hand. And I can’t think of what else. But you have a wide range. I like it, that at the same time, they’re both romantic tunes. You’re writing a letter and talking about breaking up. Both are of one range. Well, that “Breaking Up is Hard to Do”; you went from Neil Sedaka to Fats Waller. So that seemed like a wide range to me actually. Then you can throw in “Lush Life,” and you’ll be complete. “Lush Life”? I’ll rush over to the library. Dave Brubeck. Talk to me about Dave Brubeck, ’cause you are a Dave Brubeck fan. Course, I mean, I think I know him from “Take Five”, probably the first piece that just bowled me over. But, I think we got something here from Dave does Disney, if I’m not mistaken: “Time Out.” It’s kind of a nod to the classical world in which I live. I love that. This particular disc was what I listen to when I go to sleep. So I don’t actually know what he plays after track four. We won’t tell Dave that. This is your soporific. I don’t know that he’d be flattered. Looking at your list of favorite musicians, I thought there was a pattern. ‘Cause I’d think, “Oh they all sort of refer back to this classical bent because you had all these piano players.” And then I see B.B. King thrown in there, which I love, because, that’s the question: “What does an opera singer like to listen to when he hears another singer who doesn’t sing opera?” And you choose B.B. King. Now, that’s fascinating. What do you like about B.B. King? Well, I love blues. My daughter says-she’s a classical pianist and wonderfully trained musician; she’s 23 now. She has, for years, said, “I guess blues are a guys thing.” So I just saw B.B. King recently, Doctor John, and just a whole group of great blues players down in Toronto recently. There’s just something elemental about that. I think I like this particular one, the B.B. King “Let the Good Times Roll” because he does it with, I’ve forgotten who it is, this duet partner he’s got on the go there. I can’t say for sure, but I swear, I think he swears on it. It’s got such an energy and such a roll to it. It just makes me happy. So when I come home, and if I have to do something mundane – which, by the way, I love doing; I love doing the daily things in life because I miss that when I travel – so if I come in, and I have to do dishes, I’ll put on B.B. King or something like that and then I’ll put on headphones and crank them until I’m practically going deaf. I can work there for hours and be totally happy. I don’t want anyone else, I’ve created my own world. I think that’s what “Let the Good Times Roll,” is all about. And then, I have to because I’m a Canadian, I have to tip the hat to the top of the food chain being Oscar Peterson and Oliver Jones. If we can do something off the Night Train album with Oscar, I mean, that was one of the early discs that I purchased. The singers I listen to are really the old school. I think it’s because I can’t listen to them with an open ear because I’m so much involved in singing that if I listen and there’s something that bothers me vocally about that person, it will bug me. So I can’t listen to them. However there’s a couple of the old school that seem to have worked for me: Louis, Ella, Joe Williams, Sarah Vaughan. Interestingly, there’s too much garbage on Billie Holiday’s voice for me to enjoy it. It’s hard to listen to her. I would think so. It’s all the things you worked for and work for everyday. To make sure it doesn’t happen to your voice. When you hear that kind of a grind, that gravelly, I don’t know why that is. So musical. He’s so musical. It just transcends everything. BH: It’s not out of pitch. It’s so perfect that you have to accept it being right. He’s kind of his own category don’t you think? Yes, absolutely. Absolutely. Louis and Ella are desert island stuff for me. I love the two of them together when you think that you couldn’t have two people more different in one aspect, where one’s very pristine and the other is gravel. Except that I can do Louis better! It was the day after Othello. Exactly! Trying to do Louis Armstrong. Actually, my voice would be more like Louis; you’d have to do Ella. I can’t do Ella. I can never forget the words like in “Mack the Knife.” I’m very good at that. To listen to the entire conversation with Ben Heppner, along with his music and the music that influenced him, or to hear interviews with other notable people inspired by jazz, go to Judy Carmichael’s Jazz Inspired web site.